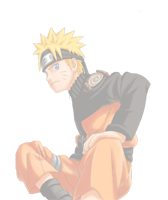 Welcome to the Naruto A True Destiny Forum! Please enjoy your stay! Follow the rules! New to the game? Post here! These are the rules that have been made to keep the forum in balance! Please read and Memorize them! 7. Respect GM or Admins at all times! 8. Don't act like your higher then other players because you think a GM will be on your side. I'll tell you now. None will be. 9. No Spam Random, Spam Killing. DO NOT KILL PEOPLE RANDOMLY! YOU WILL GET JAILED FOR 10 MINUTES! A SECOND OFFENSE WILL LEAD TO A IP BAN FOR 2 DAYS! A THIRD OFFENSE WILL LEAD TO A PERMANENT BAN! IF YOU NEED KILLS THEN GO KILL ROUGE NINJA! YOU HAVE BEEN WARNED! 6. Don't give secret Scrolls to people. 7. Never IP Ban unless some one is spamming kill and its flooding the server! 8. Don't IP Ban before asking Me or Kowala first, to avoid problems. THESE RULES APPLY TO ALL PLAYERS! THE MEMBER'S RULES APPLY TO THE GM'S AS WELL! If an Admin, Player, or GM is being abusive in any way what so ever! Post here! An Admin will address your problem as soon as possible. Post your BYOND screen name and Character Name here! So we can keep a list of how many people actually play the game! Talk about your favorite chapters in Naruto! or about your favorite characters! Got any Idea's for the forum? Post them here! Talk about things Non-Naruto Related in this forum! Post your thoughts!